I’m doing/finishing a $50 000 renovation. And the electrical was the only thing that went right thanks to Owner lance and technician Dustin. I’m a business owner myself and have a hard time trusting just anybody. Very reliable, straight forward and just an all around top tier business. Thanks Excalibur! Thats some great news! You were a pleasure to serve and we are vey happy to hear that you are happy. I completely gutted and redid my kitchen. Lance and Mike from Excalibur came to assess the job and were responsible for installing extra pot lights and some switches. Mike was personable and did a great !! I would hire them again without a doubt! 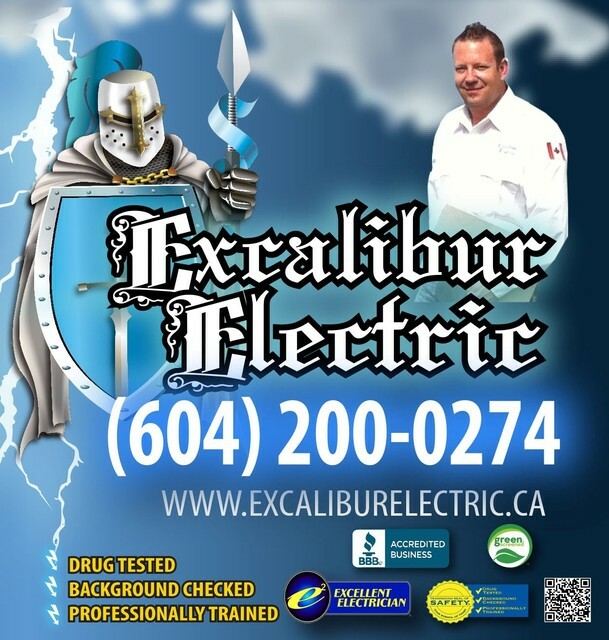 Excalibur Electric Ltd prides itself on presenting high quality work to our customers in need of an Electrical Contractor around Mission, BC but also offers a home protection plan called the KNIGHTS CLUB PLAN. 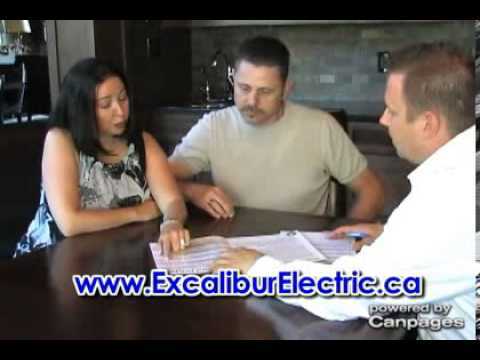 Excalibur Electric Ltd offers a discounted pricing package for those clients, and will check in annually to ensure that all of your Electrical Contractor needs are up to date, and that any deficiencies are addressed. Excalibur Electric Ltd wants to make sure that during our visits that not only are the problems that are identified are addressed, but that all the underlying issues can be found, and options made available. 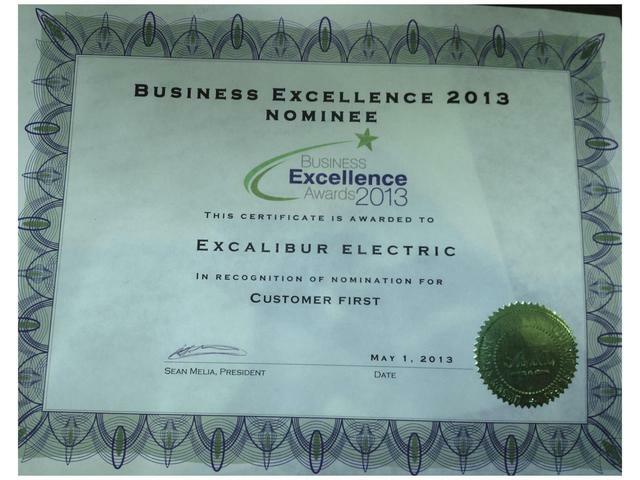 Excalibur Electric Ltd has been locally owned and operated from Mission BC since 2002 and are proud A+ Better Business Bureau members. 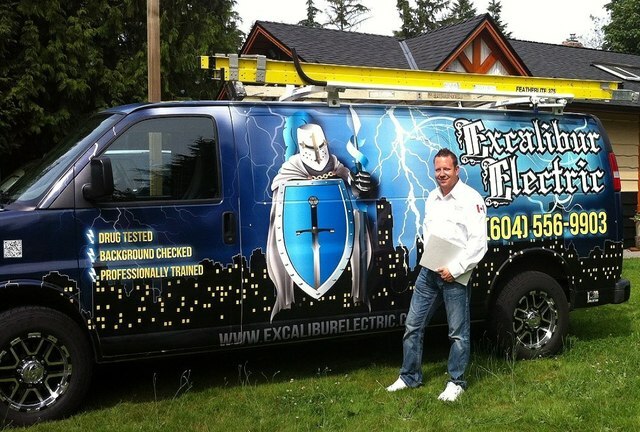 With over 11 years as a business Excalibur Electric carries a well respected name and reputation with the Fraser Valley, Mission and Lower Mainland. Our owner, Lance Dinahan, has over 19 years experience as an electrician/technician/contractor, he brings to the table field experience and trains each electrician the quality and standards expected by our customers. We employ only highly skilled technicians who are clean, courteous, background checked and drug free. Our Electrical Contractor technicians undergo continual training to stay at the top of their field. 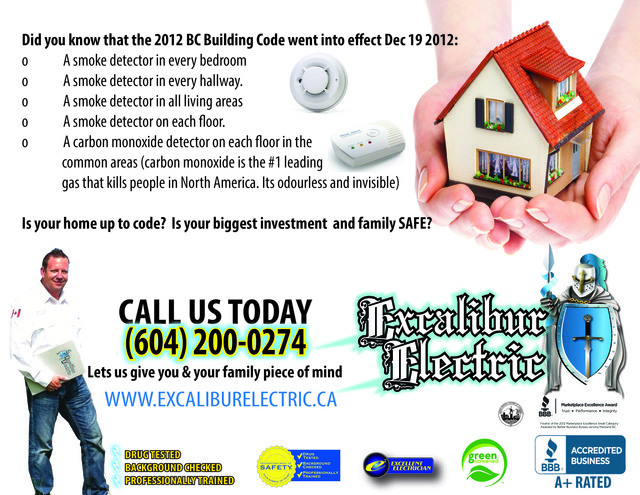 Excalibur Electric Ltd invites you to contact us for any and all of your electrical contractor needs within Mission, BC. Contact us today at (604) 200-0274.